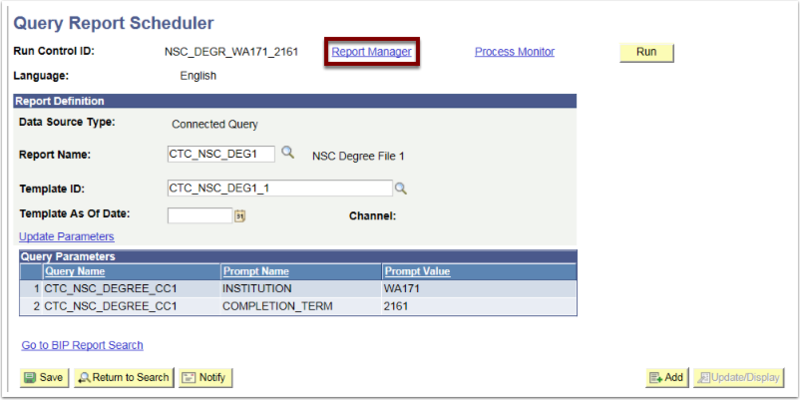 Purpose: Steps on how to run the NSC Degree Verify file. 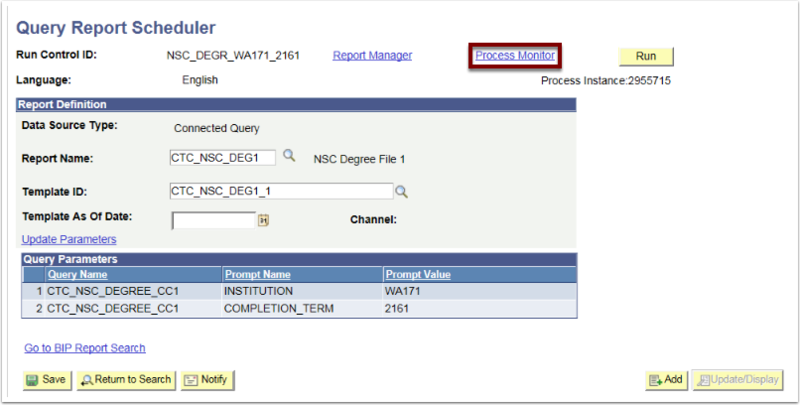 The ctcLink NSC Degree Verify file is a BI Publisher report. Click on Add a New Value and enter name for your Run Control. 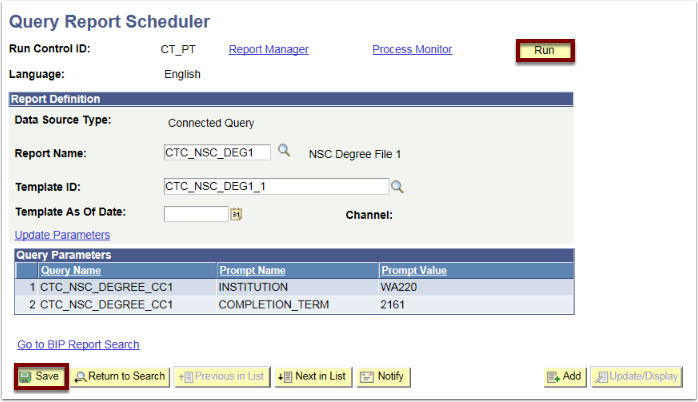 A new Run Control should be created each term, however once a Run Control is created, you can reuse an existing Run Control for a given Institution/Term. 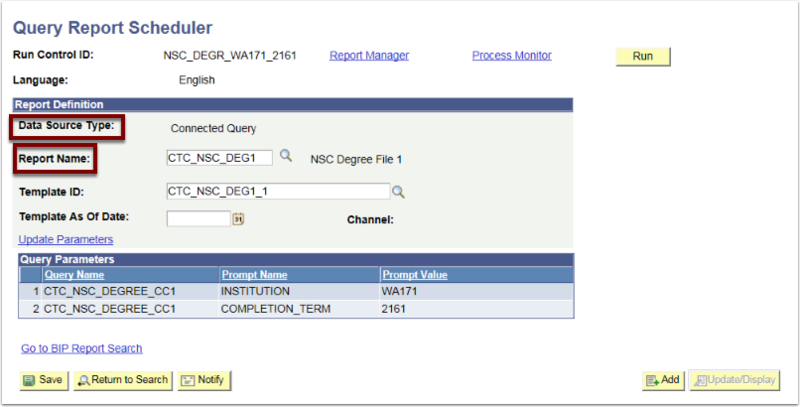 For Data Source Type, choose Connected Query. 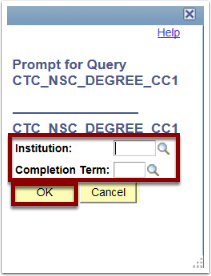 When prompted, enter an Institution and Completion Term. Click Refresh until Run Status is Success. 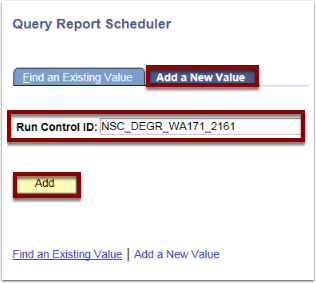 Click Go Back to Query Report Scheduler. Click on the file (.txt) link. Click on the .txt file. Save and submit file to the Clearinghouse.